Who is not excited about the Game of Thrones Season 8?!? If you’ve been living under a rock Game of Thrones Season 8 is coming April 14, and I’m counting down the days until I’m reunited with my favourite show. The Mountain Gregor Clegane is the protector and bodyguard of Queen Cersei, he’s always standing behind the Queen. 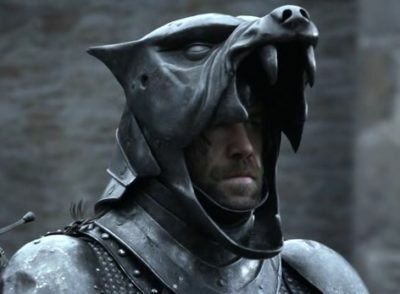 He was wearing a different type of helmet in Season 7. 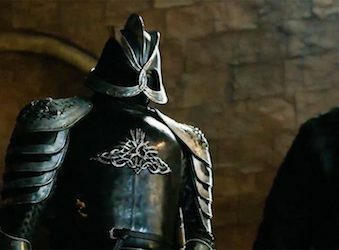 Find the Game of Thrones Mountain Gregor Clegane costume below. Click here for more Game of Thrones costume ideas. We’re guessing shame isn’t what motivates the mountain, so there is no reason to be ashamed to show your love for the crazy character with this officially licensed Game of Thrones Gregor Clegane Mountain Helmet. 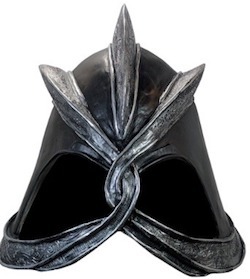 Made as a replica of the helmet the Mountain wore after his reanimation, the dark metal-like look and braided nose guard will give you the same iconic look as the ferocious character. Combine your Mountain helmet with this silver armor knight costume. You will look fearsome and your enemies will bow to their knees in fear. 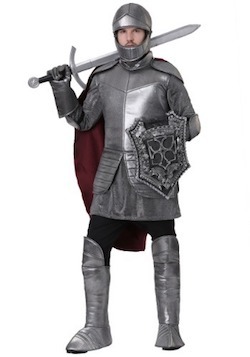 Click here to get Game of Thrones Mountain Gregor Costume.